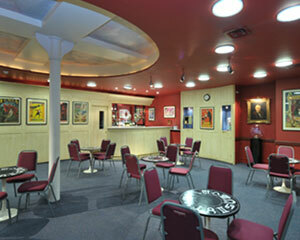 The best venue for breakfast meetings in London – check out this deal at The Magic Circle Headquarters! What an incredible venue. The Magic Circle is an exclusive organisation that allows magicians (both famous and lesser known) to network, quite literally share the tricks of the trade, and host conferences centering around this part of the entertainment industry. However, even us mere Muggles are allowed in to carry out our own assemblies in the 3 events spaces for 25 to 160 people. 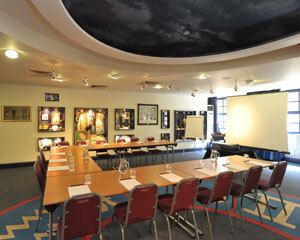 While you can hire the Magic Circle Headquarters (MCH) for any kind of daytime and evening functions from meetings to conferences, seminars to receptions, the breakfast meeting packages available when booking through Function Fixers are seriously good value for money, and a truly unique experience. While you’d usually be looking at around £2,000 for venue hire during an evening event, breakfast meetings here start at just £39 per person from 8am to 10am. For this, you’ll have full access to The Magic Circle Theatre (which comes with a data projector & screen as well as microphones & lectern), The Devant Room, The Club Room and The Museum itself. 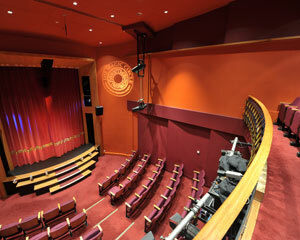 A theatre technician and events manager will take responsibility for all the AV goings-on and general backstage detailing, and a hearty buffet breakfast of pastries, croissants with jam and butter and fresh seasonal fruit will be washed down with juice, tea and coffee – served by professional staff. There are also packages available for those who with to hire just one, two or three of the other rooms, all of which include free WiFi, delicious food and expert services. The Theatre holds 126 in the stalls and 36 on the balcony. The large screen is HD quality, and the décor is contemporary and welcoming. The Devant Room lends itself to more formal corporate events and benefits from air conditioning, neutral décor and full technical facilities for conferencing – but all these good points will pail into insignificance when you learn that the water chamber used for Houdini’s most famous act is sitting in this very room. 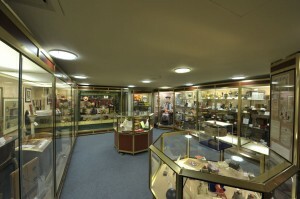 Among other unique and rare objects, there’s also a glass case containing Tommy Cooper’s fez hat, and enough room for 80 delegates seated in theatre style. 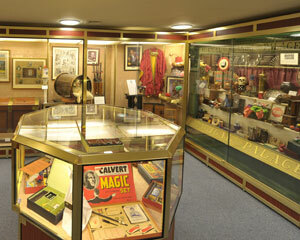 The Club Room also features exhibits of famous memorabilia and revealing mechanics, and provides an ideal registration area for events in the Theatre. The Museum here barely needs any introduction. It doesn’t matter what your interests are or how easily entertained you may be, this is a place that has to be seen to be believed. A mind-boggling amount of objects, curiosities and secrets lie within this underground lair, and while the space can only hold 35 people for receptions, this small but high-impact room will provide the platform for an utterly wonderful break out activity. Call Function Fixers now to book The Magic Circle Headquarters for your next event, and to learn more about our incredible Breakfast Meeting packages at this unforgettable venue.